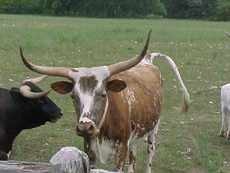 "Catch the Magic of the Texas Hill Country!" 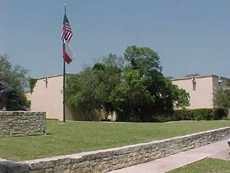 Kerrville has a great climate thoughout the whole year. It is no wonder the visitors come to this beautiful place year after year and many finally retire here because they catch the magic of the Texas Hill Country. Whether you attend the festivals or fairs, go to the parks or golf courses, see the art interests or museums, Kerrville has just what you are looking for! Kerrville is growing with a population of over 20,425. The city increases considerably during the winter months to accommodate the "Winter Texans." 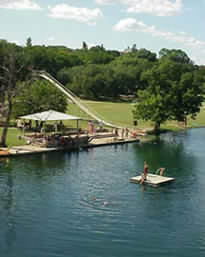 Kerrville is an easy drive from any of the major cities in Texas. San Antonio is the closest at 62 miles, Austin is less than 100 miles, and Dallas and Houston are less than 300 miles away. 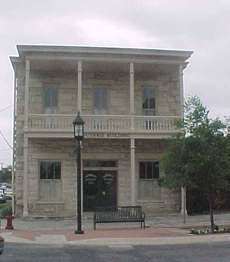 Kerrville's history began in the 1840s by Joshua Brown, a shingle maker, who settled on the Guadalupe River. 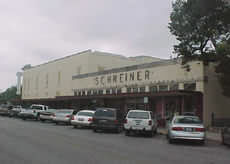 Years later, ranching was a major enterprise with Texas Ranger Charles Schreiner who built his own empire in the Hill Country. 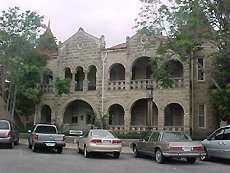 The City of Kerrville was founded in 1889. Kerrville has restored many of its original old-world charm buildings for tourists and future generations to enjoy. 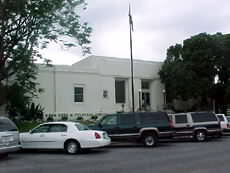 Take the Historical Buildings Tour of at least 21 buildings. Louise Hays Park is a beautiful area in the heart of the city. Walk along the Guadalupe River and you will find picnic tables, gazebos for your use. Take the footbridge across to Tranquility Island where you can picnic under the cypress trees, feed the ducks and swim in the cool waters. 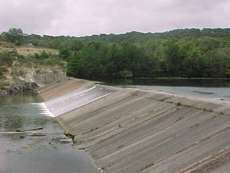 Fly fishing in the Guadalupe River is a big deal in Kerrville area. They even have a fly fishing club to help you with any tips you may need! Just minutes away from downtown Kerrville on Highway 39 toward Hunt, you can launch your sail boat, water ski and swim in the cool waters. Don't miss the chance to take a thrilling slide down the Ingram Dam! Want to play a little golf? 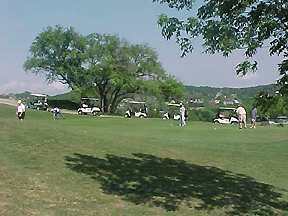 Choose among the many challenging golf courses in the area! The photo at the left is the Scott Schreiner Municipal Golf Course. Want to enjoy some great food? 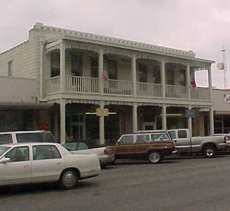 Kerrville has many restaurants in the city area. Choose from restaurants along the river banks to places that offer sidewalk dining areas in the middle of town. 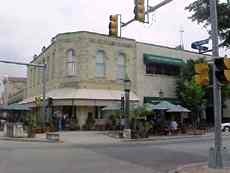 You will find all types of restaurants in Kerrville: Mexican, Italian, Chinese, Steaks, BBQs, Pizza, fast food and more. The Lakehouse restaurant is by the Guadalupe River. Francisco's is in the downtown area and has sidewalk dining. Looking for a Ranch with lots of activities? MO Ranch offers you over 475 acres where you can challenge yourself on the ropes course, horseback ride, hike, swim, or just relax. Their housing ranges from modern hotel rooms to spacious historic mansions, to rustic cabins. Gathering places range from an indoor auditorium for 600 people down to an intimate meeting room for 10 people! Everyone is welcome at MO Ranch. Want to stay in a local Bed and Breakfast? 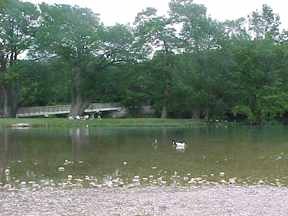 River Lodging B & B overlooks the scenic Guadalupe River, just minutes from downtown Kerrville. The riverfront dock has a picnic table, barbeque pit, fishing pier, and canoe dock. Want to spend a few days or longer in Kerrville? A rotating collection of art celebrating the memories of the Old West. More than 600 member artists are represented at this center. Workshops, classes and lectures are available also. Original home of Charles Schreiner. Enjoy the annual eighteen days of musical events held in Kerrville. See the 200 best artists and craftsmen on exhibit during the Memorial Day Weekend. 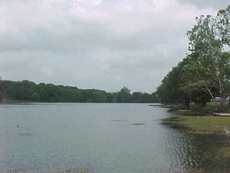 This 500 acre park offers swimming, fishing,boating and campsites. Enjoy the walking paths, butterfly gardens, wildflower meadow, and special gardens and programs. Explore this mystery of the unknown on Al Shepperd's ranch near Hunt, Texas. 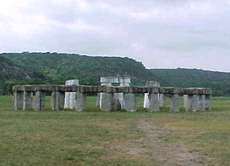 This structure is a scale model of the original located on the Salisbury Plains in England that was built over 3500 years ago. Enjoy the fishing, canoeing and Kayaking down the Guadalupe River. Swimming and water skiing in Ingram Lake is fun! Horseback riding in the hill country is great way to see the area. Kerr county is a bird watcher's paradise. Bring your binoculars! 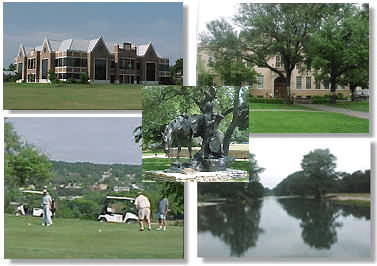 Take a walking tour of historic and other areas of Kerrville. Nature watching and photography at its finest. See the native and exotic game ranch spanning 50 square miles. Shopping at the antique stores in the area are some of the best in Texas. Dining at the river front or downtown restaurants. Visit Art Centers and Museums. with links to over 100 cities and towns throughout Texas. web site, please email us at bill@kerrville-tx.net. Hotels and Lodging in the U.S.
Hotels and Motels in the U.S.